Auto sales is a dynamic and fast moving field, and the ability to cope inside it and excel at it is a cause for celebration. 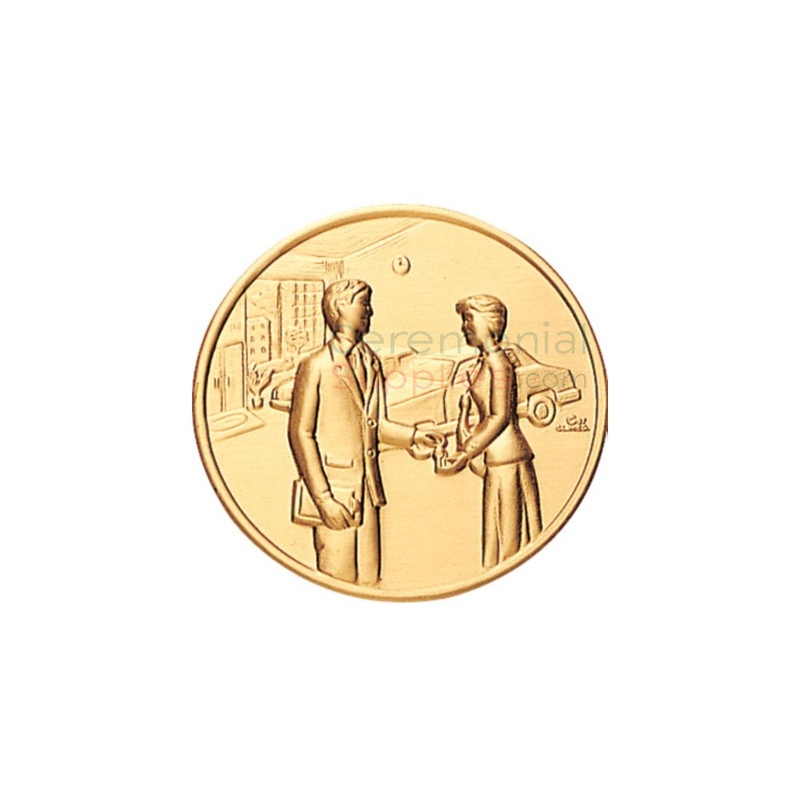 Awards like the Top Auto Sales Producer Medal take detail into account, depicting a classic salesman/customer interaction in the middle of a deal. The provided ribbon allows proud displaying as your top producer takes ownership of the accomplishment.